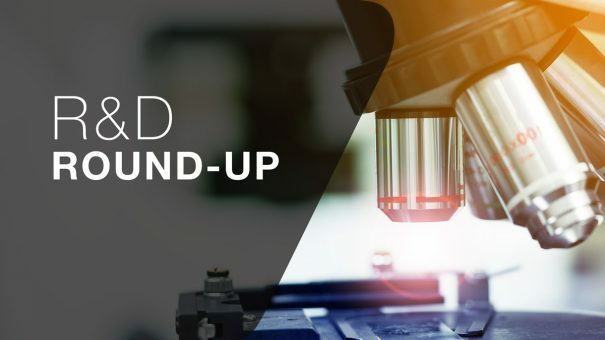 While the controversy surrounding Vertex Pharma’s cystic fibrosis drug in the UK grows more intense, the US firm has announced that it is licensing back two gene editing compounds that can be used with CRISPR/Cas9 technology from Germany’s Merck KGaA. The German pharma said that it had granted Vertex a licence for one clinical and one preclinical molecule for gene editing applications in six specific genetic disease areas. Merck bought both molecules in a licensing agreement from Vertex in 2017, and they are part of Merck’s portfolio of DNA Damage Response (DDR) inhibitors. This class of drugs has been shown to enhance CRISPR/Cas9 gene editing, which is already used in genetic engineering and is in the very early stages of development as a therapeutic treatment. The latest deal covers two DNA-dependent protein kinase (DNA-PK) inhibitors – M9831 (formerly known as VX-984) and an additional pre-clinical compound – in the field of gene editing for six specific genetic disease indications. But it hasn’t been a great month for CRISPR –- shares in firms developing therapies based on CRISPR gene editing technologies have fallen after the resignation of the CEO of one of the leading biotechs in the field, Editas. Massachusetts-based Editas said Katrine Bosley has decided to step down from her role as president and CEO, on March 1 2019. Bosley has been CEO of the firm for nearly five years and leaves just as the company prepares for its first clinical trial. While the biotech gave no reasons for Bosley’s departure, the assumption among investors is that something is amiss with the company’s technology, sparking a slump of almost 20% on the Nasdaq, to just under $21 a share. This had a knock-on effect on other listed biotechs developing CRISPR-based therapies – CRISPR Therapeutics and Intellia Therapeutics also saw their stocks fall in sympathy amid concerns that there might be an issue with the technology, which is used in genetic engineering but unproven as a therapy. In December the FDA gave the green light for trials of Editas’ lead product, EDIT-101, a potential gene therapy for the inherited eye disorder Leber congenital amaurosis (LCA) type 10. There was both good news and bad news in Alzheimer’s R&D this month. On the positive side, a vaccine for the disease developed by United Neuroscience has cleared a phase IIa trial, and seems to be free of the toxicity that has scuppered earlier candidates. There’s no solid evidence yet that United’s UB-311 candidate has an impact on cognition and memory in Alzheimer’s patients. Nevertheless, the lack of serious side effects is a big step forward in a vaccine development effort that extends back almost 20 years. Top-line data from the 42-patient study show that the synthetic peptide vaccine – which targets beta amyloid – was well-tolerated in subjects with mild Alzheimer’s disease at the two doses studied, and also stimulated anti-amyloid antibodies in 96% of patients – meeting the two primary objectives. There were also trends towards improvement on all secondary measures, including amyloid deposits in the brain measured using PET, as well as Alzheimer’s symptoms using scales such as the Alzheimer’s Disease Assessment Scale-Cog (ADAS-Cog) and Mini Mental State Examination (MMSE). Those early signs are encouraging, although the company isn’t suggesting there is evidence of an efficacy signal yet, but the absence of toxicity means that UB-311 is on course to put that to the test in large-scale studies. Other active immunotherapy candidates in trials include Novartis’ CAD106 in phase II/III testing, Araclon Biotech’s ABvac40 in phase II, AC Immune’s ACI-24 in phase I/II, and Lundbeck/Otsuka’s Lu AF20513 in phase I. All the vaccines are based on the promise that accumulation of beta amyloid is a core pathology in Alzheimer’s disease, forming fibrils and plaques that cause neurons to degenerate and disrupt neural networks. However, the amyloid hypothesis has taken several major blows over the last year, and this month saw yet another failure for an amyloid drug as Roche and AC Immune discontinued phase III trials of their crenezumab after an interim analysis indicated it would not hit its primary endpoint. An Independent Data Monitoring Committee analysis indicated that the drug was unlikely to meet its primary endpoint of change from baseline in Clinical Dementia Rating-Sum of Boxes (CDR-SB) Score. This is just the latest in a huge number of failures in the Alzheimer’s space over the past year, with companies including Lundbeck, Boehringer Ingelheim, Pfizer and Eli Lilly all seeing disappointing results or scrapping their programmes altogether. As failures mount up in amyloid it seems many are turning their eyes to the main competing hypothesis – that the disease is caused by aggregation of tau proteins. In its statement AC Immune noted that the TAURIEL phase II trial of anti-tau drug RG-6100 in Alzheimer’s, run in partnership with Roche, will continue.